Hello there everyone! So today's post is super full of fun stuff in my opinion. :) First up its swatch time! 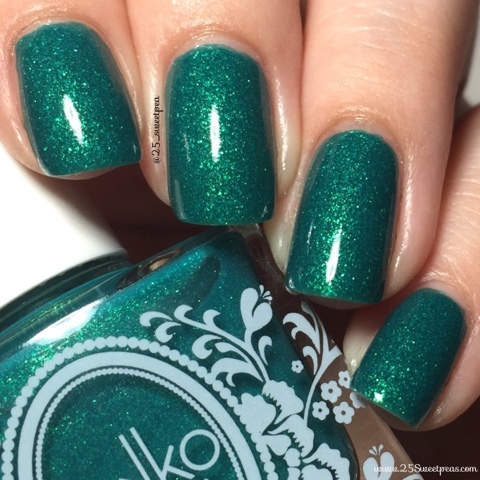 Today I will be sharing my swatch of a new Takko Lacquer. 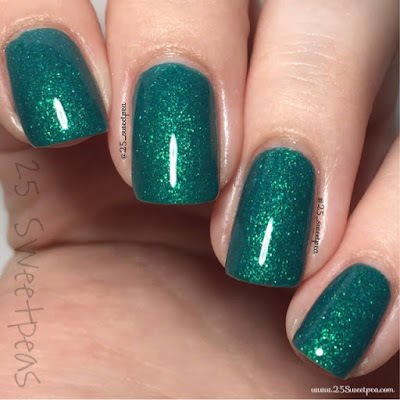 This polish is actually out now and you can find it here. 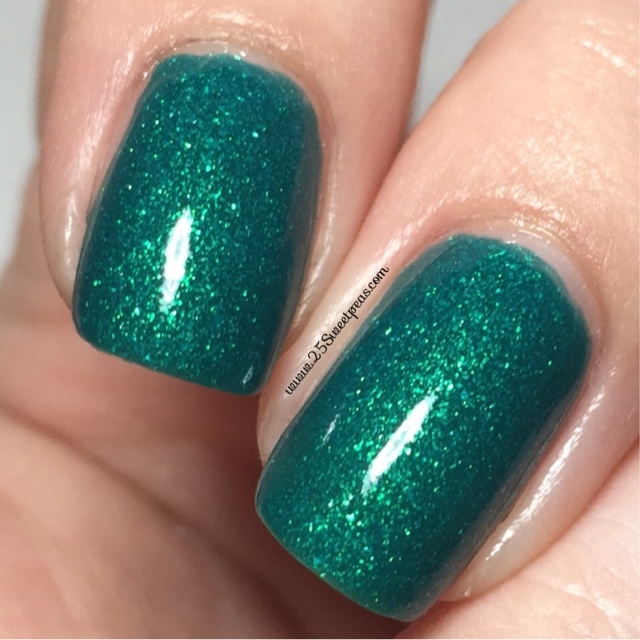 This polish is one Sheryl has created as a limited edition polish for her friend/Creator of Oasis X Change. Oasis X Change is a company that sells Eco friendly, organic, and organic home and beauty items. One thing that I really think is cool it that part of the profit goes to opening water wells in 3rd world counties. On her site HERE you can see more info and read all about it. The polish I am going to be sharing with you is one especially for them, and is a limited edition Takko. It's a deep teal blue with green iridescent shimmer. I am in love with this color honestly! 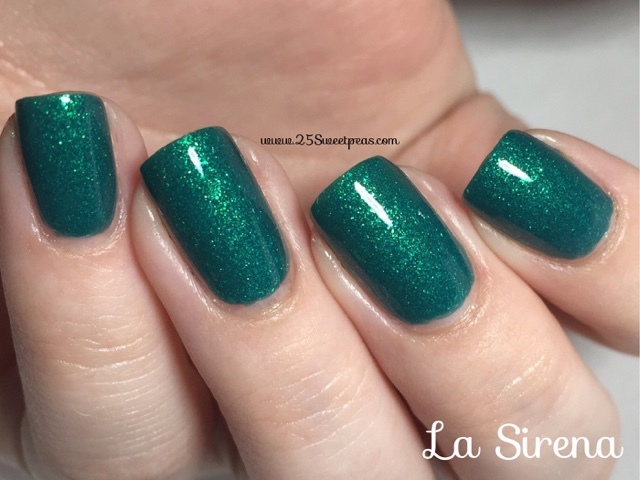 This beauty's name is La Sirena, and it's just as beautiful on as it is in the bottle. It's a two coater for me just because my white nail line is bolder and I really liked the darkness achieved with te second coat. The formula on this one was perfect honestly. I love Takkos brushes too, They are a wonderful size. They make it very easy to have a nice crisp line up near your cuticle with out having major clean up. I am actually really liking this color for this time of year too. This time of year I love a burgundy/Marsala, and real so this one if perfect for me because I really haven't seen any deep teals like this out this year. I've seen ones that were more blue but I like the green tinge. It's really a great color. Here I feel like you can really see the shimmer and it's lovely. It was sunny here and when I was outside it was very lovely. I can see this shade being used all year around too. Overall I love this polish. I think we all know I tend to love Takko, I think the mani reason for that is when I take any Takko off my nails always look so so healthy, plus they are always so beautiful! ;) This polish is out now and can be found here plus soon there will be some more news with some other new things from Takko, and I will be keeping you all up to date for sure!